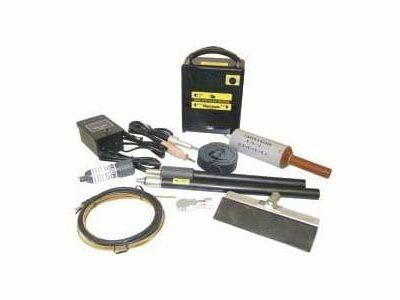 The DC30 High Voltage Holiday Tester is used to identify coating defects in dielectric coating materials. 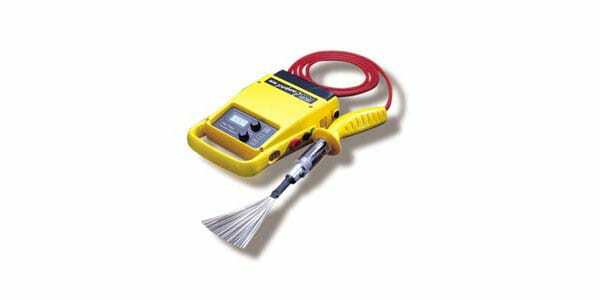 This lightweight instrument is portable and is ideal for measuring coatings on storage tanks, valves and pipelines. It features voltage and battery indicators on digital display during continuous measurement, or momentary measurement for increased safety. It can even be used while the batteries are charging. The DC 30 has a changeable clip-on battery pack that makes it easy to change voltage without swapping power supplies or probes.